West Sacramento is one of finest places to live in US; accessibility for all major services is one of the key reasons for it. Cab Services in West Sacramento have natural significance and demand because of the competitive spirit of the city. Intra-city transport plays a major role when everything is bound to happen as per the timelines and deadlines. People seem to be in a hurry during the weekdays and weekends as well. While work related demands keep them engaged during the weekdays, the need to relax and refresh keeps them going even on the weekends. 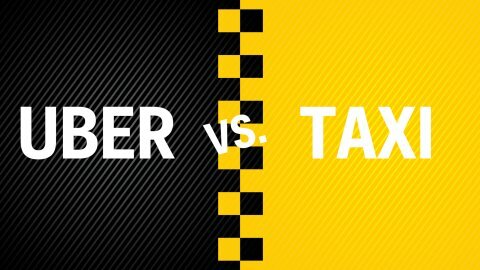 So, there is absolutely no way to rule out the need and significance of Taxi Services in West Sacramento, it doesn’t matter whether it’s a weekday or a Saturday. Revisiting the scope of Taxi and Car Rental Services in the context of prevailing impression from the customers, there is a clear need to re-establish the basic norms of quality transport services. We wish to underline three significant aspects of it for your assurance and consideration. Reliability – When reliability is everything that defines the core idea of quality services, every action matters. From punctually arriving at the pickup point to ensuring transparency in fare, there is scope for improvement in the way many cab providers are operating. It is slowly but steadily becoming a significant area of concern from the customers’ point of view. Affordability –Affordability is often misinterpreted to be unduly economical or cheap. But, it’s not the right impression. Affordable Cab Services would mean to provide value for the spending which is at par with the alternative options in terms of cost. It has more to with quality services than cost. Flexibility – In the context of Cab and Taxi Services in West Sacramento, flexibility has a lot to do with understanding and acting as per the customer preferences. This is one of the commonly overlooked aspects of facilitating quality transport services. Such an impression is often shared by the customers when asked for their feedback. While most of the transport service providers are striving to catch up with the customer demands by overcoming various challenges, customers too are looking for a reliable brand that can be trusted completely. ‘Yellow Cab’is one of the well-known companies committed to facilitating such highly reliable services from time to time. Taxi Service business in Sacramento which feeds thousands of Sacramento local taxi operators is diminishing. While the customers can get slightly cheaper rates with Uber X cars, these rookie drivers with Uber, with lack of experience, put the customer into a considerable danger while being driven in the busy streets of Sacramento with a possibility of drunk drivers also on the road. The Uber Horrow Stories is listed in “The Daily Beast” newspaper can some what aware the customers about the possible threat of riding in Uber Cars. Another draw back being that the money is pumped into the pockets of Uber stock holders that are not local natives of Sacramento or even natives of other bigger cities like NYC, Los Angeles where Uber is playing a monopoly in the ride business. While saving money for consumers is always a plus, it comes at a risk of hurting the local economy of the city and with a risk of being driven by inexperienced drivers. Yellow Cab of West Sacramento, as a dispatch company, is soon coming with a Taxi App to support the local cab drivers and Sacramento economy. It will also offer discount to the customers and give them convenience of ordering taxi with an app. One step at a time should be taken to support local business. 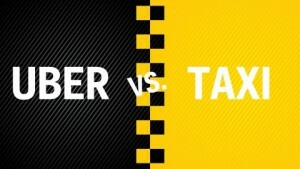 Call us for Taxi Rides in Sacramento at 916-444-8844. As our customers who live in the capitol city will tell you, anyone who thinks Sacramento can catch a Sacramento cab in a minute does not reside in the city. Yellow Cab of West Sacramento is working on a new mobile version of the site, and the phone app for Apple, Android and Blackberry to make taxi cab hire a lot easier and fun experience like buying things on Groupon. Users can calculate their fare on their phones, hit the book now button and get a taxi cab on their door way without ever calling our dispatch. The company will dispatch to our list of nearest independent cab drivers, the result is the hassle free transaction or ordering taxi cab service in greater Sacramento area. Among other things for the future, the app will allow the users to track their taxi cab on the map, pay for the taxi cab on their phones. All of these will en-rich the taxi cab service experience in the golden city of the state. In-directly it will encourage visitors to come to our beautiful city as tourist and visitors will better experience in ground transportation. Please follow us on Facebook, Twitter and Google Plus, to find out more updates on this up-coming APP and more up-dates on our companies new feature releases.